Harry van Lenthe is a Professor of Biomechanics at KU Leuven (University of Leuven), Leuven, Belgium. He studied Mechanical Engineering at University of Twente, Enschede, and received a Ph.D. in Medicine (Orthopedic Biomechanics, 2001) from Radboud University, Nijmegen. Harry worked as a post-doc at Eindhoven University of Technology and at ETH Zurich where he became Lecturer in 2004. 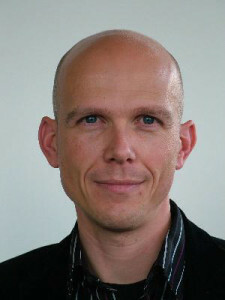 Since his move to Leuven in 2007 he has kept a part-time position at ETH. At KU Leuven, Harry is the Program Director of the Master in Biomedical Engineering, hence, responsible for the quality of the curriculum as well as for student affairs. Harry van Lenthe’s research focuses on the quality of bone, and how it is changing during growth and aging. In addition, He is studying the interaction between bone and implants. He is an author on more than 85 publications in peer-reviewed journals, 5 book chapters, and over 230 full proceedings and abstracts. Harry has received several awards including the ESB Research Award (2000), and the Young Investigator Award from the International Bone Densitometry Workshop (2004).